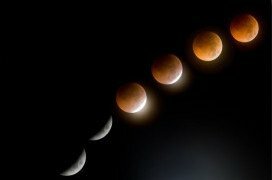 Coming up on August 7, 2017, is a Lunar eclipse in the sign of Aquarius, 15 degrees. Folks from long ago used to believe that a Lunar Eclipse caused insanity, and that people committed more crimes. Dogs and wolves howled at the moon. Neighboring villages waged war. Crops died. I guess, short of locusts descending, there is always some truth to Moon cycles and the water levels on earth and in your body. Aquarius represents unique, humanitarian or erratic behavior and higher technology. It’s the sign that demands freedom. Lunar represents feminine energy. The eclipse is shining a light on what you’ve been doing for the past six months. But do you go crazy? Well, these days with so many things to do and too much technology to care for as much as the actual agenda… yeah. You might just lose it starting late July through October, 2017. What recurring theme are you witnessing in your life? Afraid to step into your power? Is there a woman in your world, (or your own feminine side) that’s either needing your attention? Perhaps you’re ready to release someone from your life. The little, daily experiences we have can pile up, making us feel out of control sometimes. Or the big, unexpected events throw us off axis. Either way… beginning late July through early October, this Lunar Eclipse in Aquarius is going to cast a glow on how you feel, what you’ve been doing with your thoughts, actions, and intentions for the past six months. This will also be the time to plant a seed in this Eclipse. To make a commitment to let an outdated behavior go. One thing you can be sure of… this time frame will open a door to an opportunity for you to step up and be more part of your life than ever before.